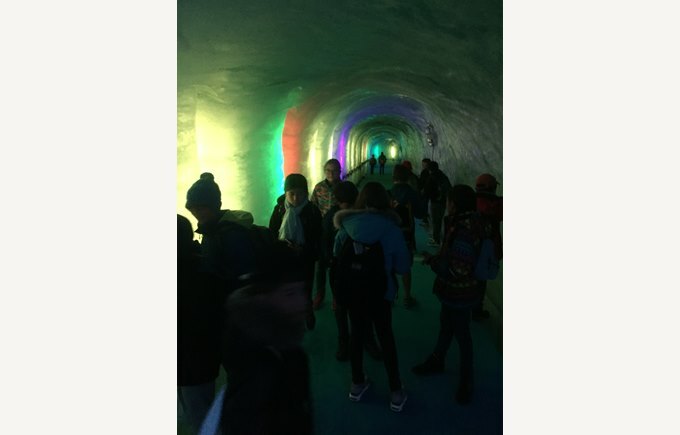 Monday 15th and Tuesday 16th June, students in grades 8 A, B, C and 8 FLE visited Chamonix. They went close up to "Mer de Glace" the largest glacier in France and visited its cave. They could admire the Aiguille du Midi (3842 m) and enjoyed the breath-taking landscape despite the lack of sun. This mountain expedition was a nice finish to the school year and left students with wonderful memories.